Hair is the most essential part of body as overall appearance of a person depends upon hair. Hair reflects the state of your inner health. Often most of us neglect hair-care that leads towards damaged and dull hair. Due to consistent exposure to sun, dust and pollution, hair becomes thrashed and brassy. Hair care is vital to keep hair thick and shiny. Just shampooing and conditioning doesn’t help in maintaining healthy hair. Fortunately, spas offer special hair treatments to keep every inch of you in tip-top shape from head to toe. All you need is in the form of deep conditioning hair spa. 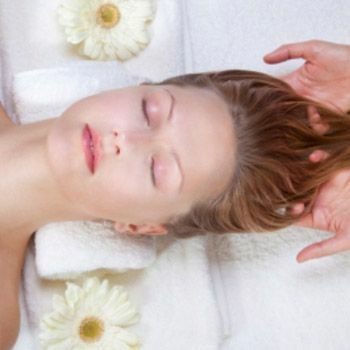 Hair spa treatment can be perfect solution for nourishing and rejuvenating your tresses. Spa hair treatment at saloons is quite expensive. There are some home hair spa treatments which give you same results as in beauty salons. You don’t need to fork out a hefty amount for expensive hair products. Try some hair care spa treatments that you can easily do in your home. 1. Oiling is best and necessary to reduce hair fall and bring a shine to your hair. Massage your hair and scalp with warm olive oil for ten minutes. After that take a cotton cloth and soak it in warm water then wrap the cotton cloth around your hair. Allow it to stay there for minimum ten minutes. It will allow the oil to get into the hair shaft. Oiling with olive oil is best before going to bed. Massaging the scalp will help stimulate blood flow, which helps feed the hair, preventing hair loss and restoring healthy hair. 2. After applying steam to hair next step is to wash your hair with mild shampoo. Choose a shampoo that suits your hair type and texture. Then rinse water with lukewarm water. The water temperature should not to be too hot or too cold otherwise it may damage the hair strands. Make sure that you don’t rub your hair with towel. It can make your hair rough up the cuticle and contribute to frizziness. 3. Your hair should be just wet for the next step of hair spa treatment that is conditioning of hair. Choose the conditioner according to your hair type. Hair type is usually mentioned on the pack of conditioners. Take a small amount of conditioner and apply it on your hair. You can apply natural hair conditioners like tea and lemon conditioner. For this you have to boil tea leaves for few minutes then let it cool down after straining it. Add lemon juice to tea water and rinse your hair after applying shampoo. Use a wide toothed comb. Leave the conditioner on your hair for ten to fifteen minutes. 4. Then apply hair mask to nourish your hair. It is simple and handy to prepare hair mask. You just need two eggs and six tablespoon coconut oil. Mix them both for a homogenous texture. Apply this mask on your scalp and massage gently. Then cover your hair with a cap and leave it for 15 to 20 minutes. Then rinse your hair thoroughly with lukewarm water and with a suitable shampoo. 5. If you apply anything to your hair then add half teaspoon of baking powder in your shampoo in order to remove residue from hair. Then wash your hair as normal. 6. A very simple and handy tip for hair spa treatment is to wash your hair with water that you used to boil potatoes on the same day. It will help your hair to grow much faster. In the beginning, you must apply above mentioned procedure for hair spa treatment once a week. Thereafter you can do it once a month or as required. Regular hair spa at home will make your hair shiny, soft, strong, manageable and superbly textured. V Stiviano Arrested For Driving While Wearing Paparazzi Visor!